LIVES have been put at risk after a machine to revive cardiac arrest victims vanished from Mangotsfield. Police suspect that the life-saving defibrillator has been stolen, leaving organisers of a £3,000 fundraising campaign to buy it “gutted”. The machine was kept in a locked metal cabinet on the side of the Grapevine Brasserie in St James Place, Mangotsfield, ready for use in an emergency. Charnfield Neighbourhood Watch committee member Julie Oliver found the defibrillator was missing when she went to do a regular check-up on May 14. Ambulance service operators have a code which can be used to unlock the cabinet. 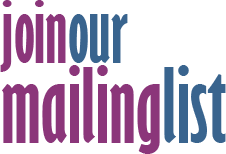 Neighbourhood watch joint chairman Sue Jefferies has been told that the code was given out at around noon on May 8, to someone apparently calling from Bath police station and claiming to be a police officer who needed to use the machine. But the police have no record of an officer using the defibrillator - and no ambulance was sent to the scene. Now Avon and Somerset police say they suspect the machine was stolen and are appealing for anyone with information to call them. Sue said: “We’re absolutely gutted.It took us quite a long time to raise the money. We did all sorts of fundraising for it and now some moron has decided to steal it. The police think they probably stripped it out to take the parts. “At first we thought it might have been used but we can’t trace anything. Sue hopes CCTV in the area has captured the disappearance of the defibrillator on video. 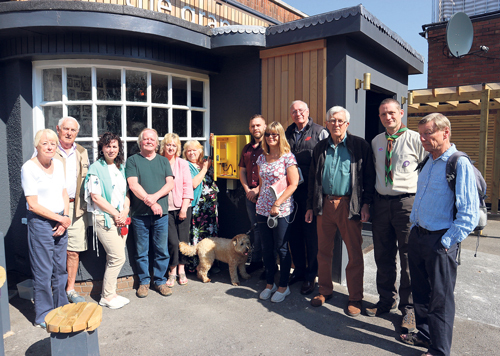 Mangotsfield School pupils, Mangotsfield Festival organisers, 67th Mangotsfield Scouts, Emersons Green Town Council and Chipping Sodbury Lions were among the groups which helped the neighbourhood watch raise the £3,000 to buy the defibrillator. After it was installed last year, training sessions were held so that local shopkeepers knew how to use it in an emergency. Police beat manager for Staple Hill PC Wayne Hick said: “We’ve been made aware that the defibrillator from the Grapevine Brasserie in Mangotsfield has gone missing. “We’re currently investigating but suspect it may have been stolen sometime between 7th and 14th May. Anyone with information should call the police on 101, quoting crime reference number 5218 106 309.